It’s hard to believe Oakridge Golf Club started out as a gravel pit. The first 9 holes were constructed in 1985-86, with the course opening for play as a 9 hole layout in 1988. A few years later (1990) construction began on the back 9. 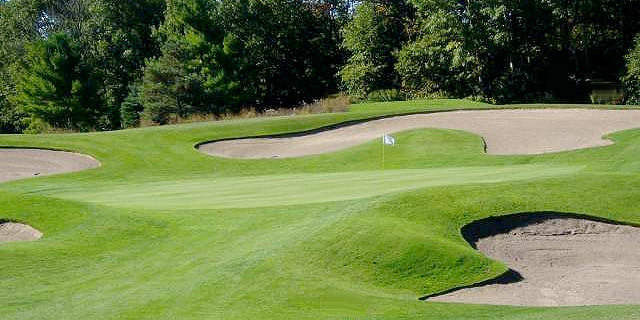 The second nine opened in 1991 to create one of the Greater Toronto Area’s most beautiful courses. This early Thomas McBroom design features bent grass fairways, elevated tee decks, eight ponds, over 60 bunkers and hundreds of mature trees. Elevation changes unique to the Oakridge Moraine make this course both beautiful and challenging. Oakridge measures 6,328 yards and plays to a par 71.